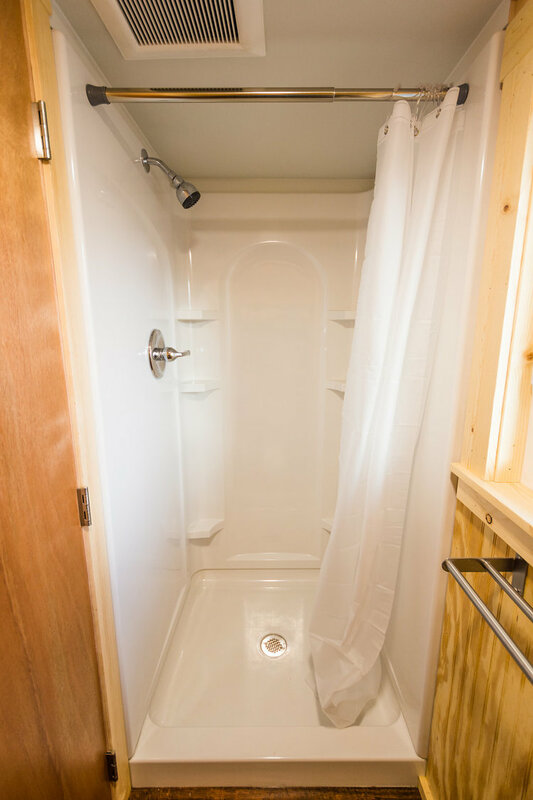 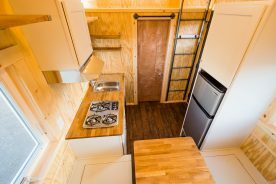 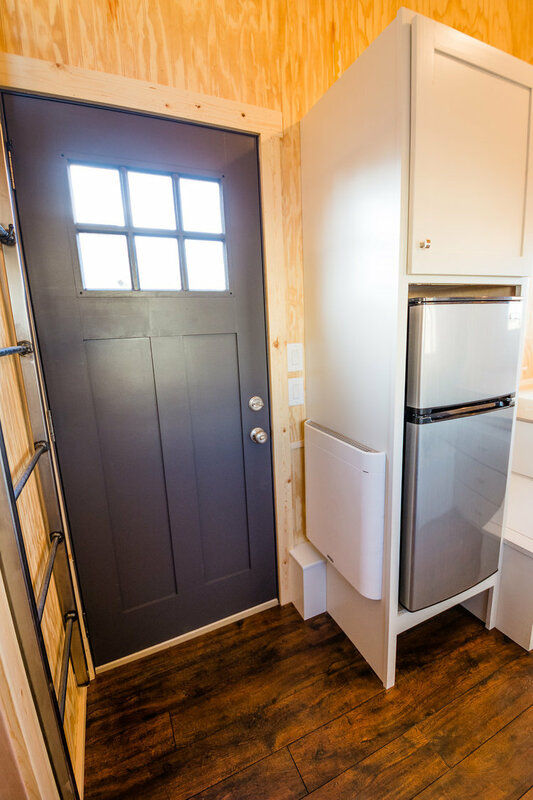 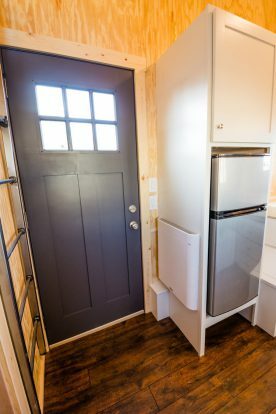 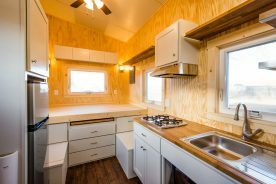 I wanted to show just how small a tiny home can be. 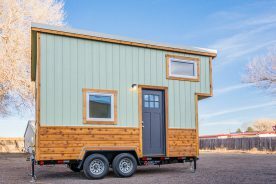 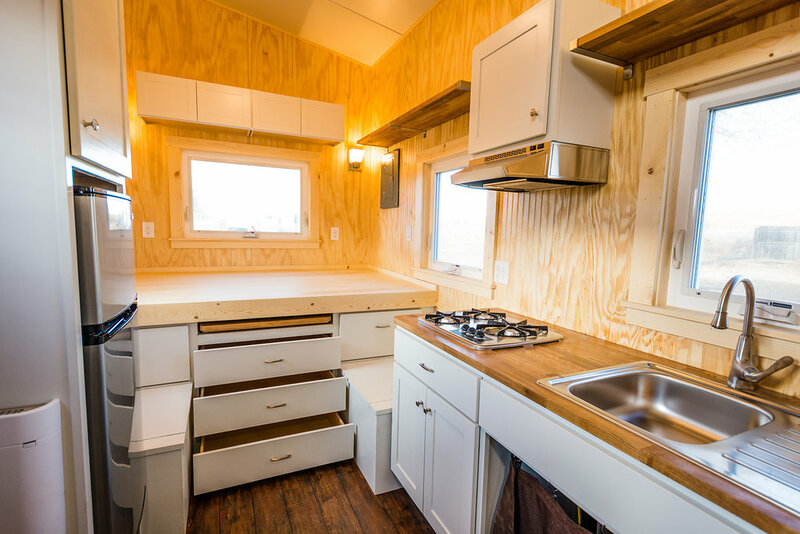 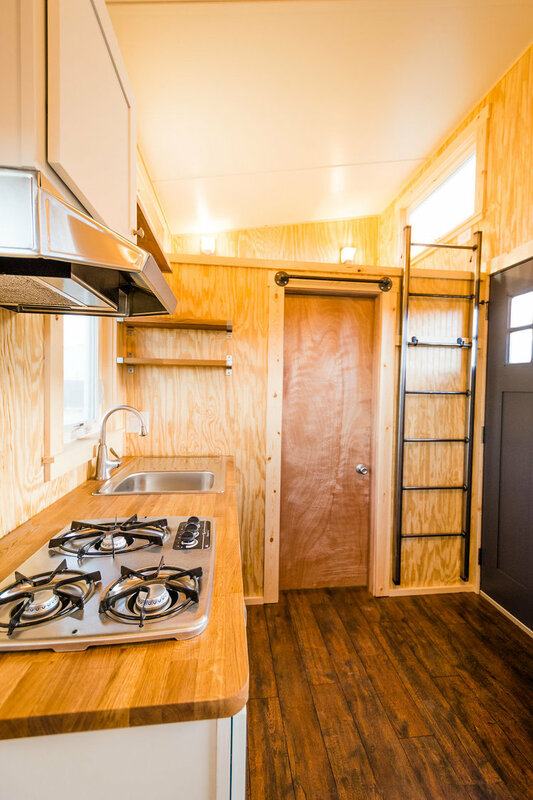 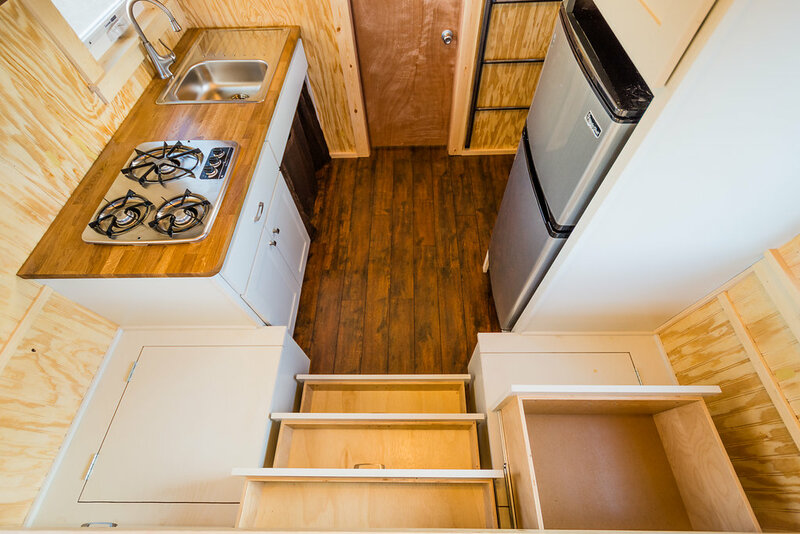 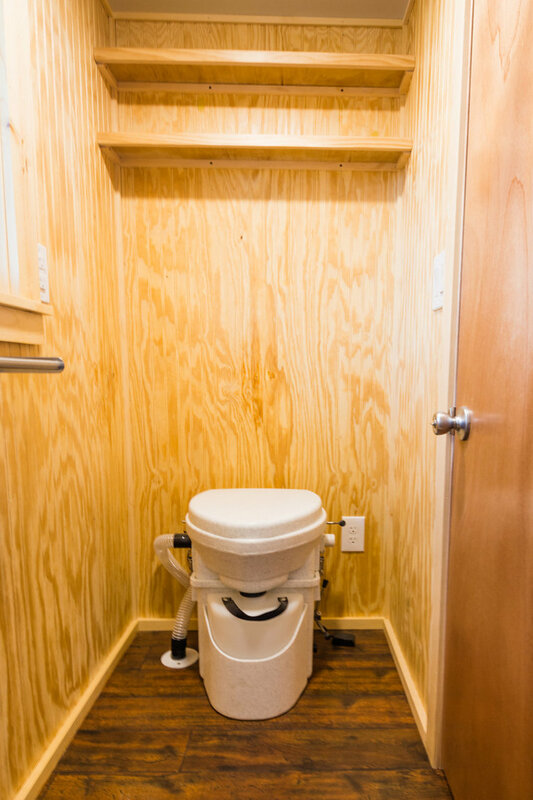 This little 16′ by Mitchcraft incorporates all the necessities onto a 16′ x 90″ trailer. 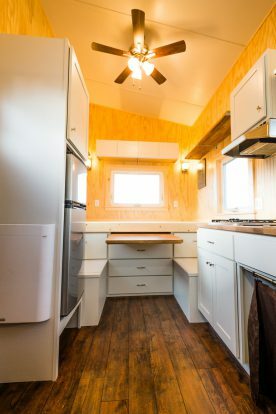 Looks like all the base’s are covered except maybe a lounge space.